The New Braunfels Public Library has provided enhanced services to the public by implementing new programs and increasing the types of services we provide for our patrons. 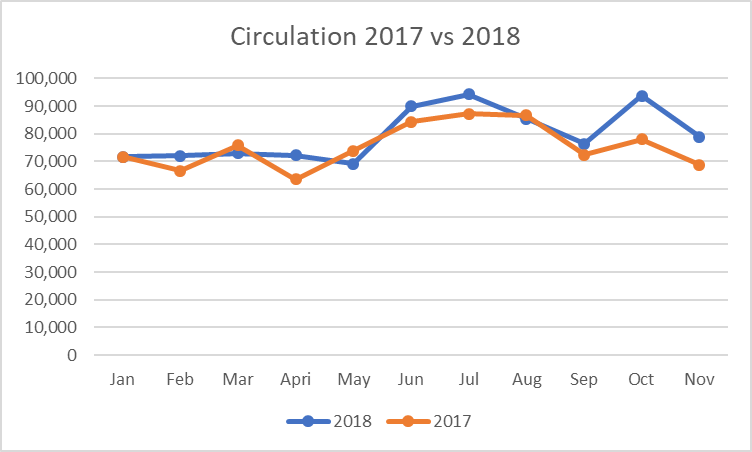 As a result of enhanced services, this year has had the highest circulation ever recorded in NBPL's history! Das Rec Library Kiosk: This year the library partnered with the city's new recreational facility, Das Rec, to house our book kiosk! This kiosk holds books, audiobooks, and DVDs which patrons can check out at the gym. This new installment also includes a book drop so patrons can drop off library items while at the gym. In additional to physical items, this kiosk allows patrons to utilize ALL library digital resources such as ebooks, databases, and more. All patrons need is a library card! Love Your Library & Food For Fines: Both events take place for the duration of February and allowed library staff to show our patrons our appreciation to them and helped bring down late fees. For Love Your Library, patrons had many opportunities to show the ways they love their library. 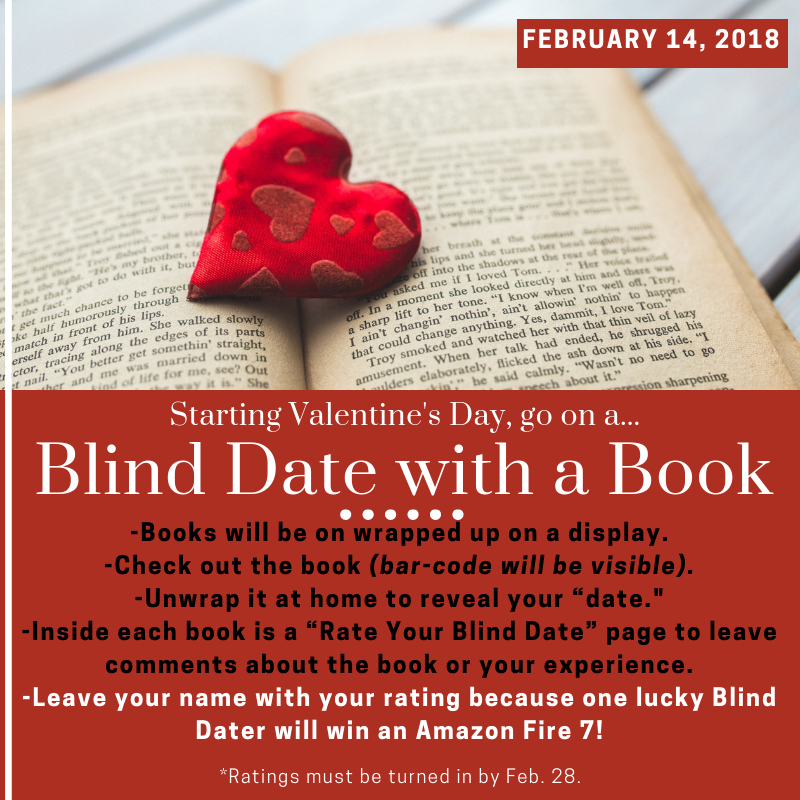 The library had a banner that patrons could sign and a fun contest, and patrons were given the chance to have a "Blind Date with a Book." Each book was wrapped up and had a small summary of its contents. Patrons would then check out the book, unwrap it at home, and fill out the "Rate Your Date" card inside the book. One lucky patron won a red Kindle Fire. Patrons were also given the opportunity to clear late fees with the library's annual Food for Fines event, where patrons could bring in any can of food (pet food also included) to waive $2 in late fees. Donated food went to the San Antonio Food Bank for distribution, and the cat/dog food was given to the Humane Society of the New Braunfels Area, Inc. This year, NBPL collected more than 1,200 lbs. of food. “Pack the Bus” : For this program, NBPL partnered with Communities in Schools of South Central Texas to collect school supplies while helping patrons reduce their late fees. The library waived $2 in overdue fees for every school supply patrons donated. This assisted patrons with large fines and helped send school supplies to students in need. In 2018, NBPL collected more than eight boxes of school supplies. 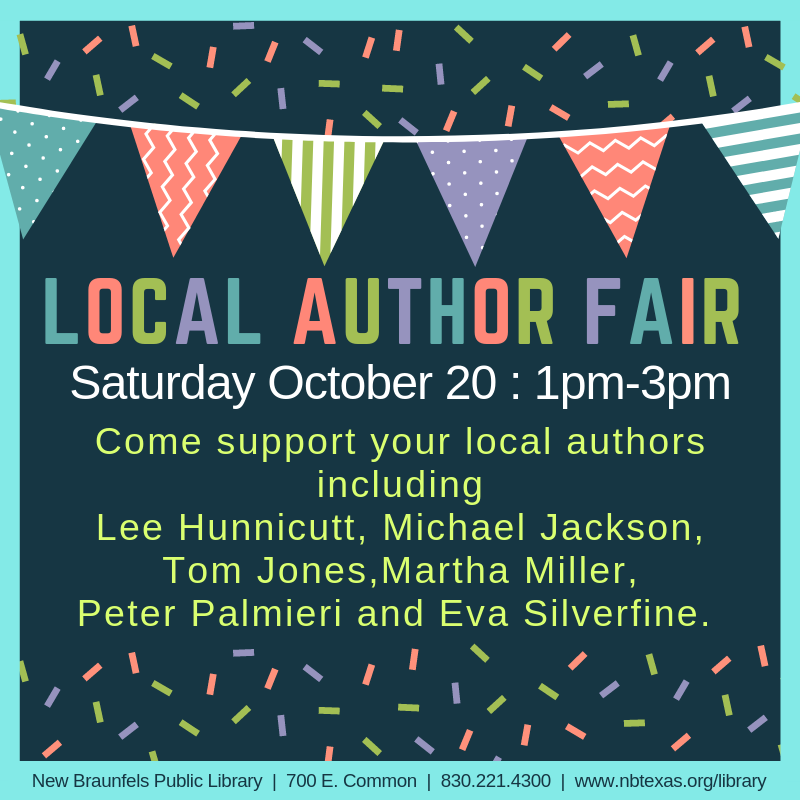 Local Author Fair: This bi-annual event helps promotes published, local authors by giving them the opportunity to talk about their book to the public. This free event invites patrons to listen to authors talk about what inspires them. NBPL also has a substantial local author section in our collection and is always adding more. McKenna Children's Museum: The library continued its programming partnership with the McKenna Children's Museum. Both organizations conducted integrated programs at the other's location once per month. NBPL focuses on early literacy, which correlates with McKenna's "Book of the Month," while McKenna correlates its STEAM activities with the library's storytimes. Library activities consist of a storytime and a craft. 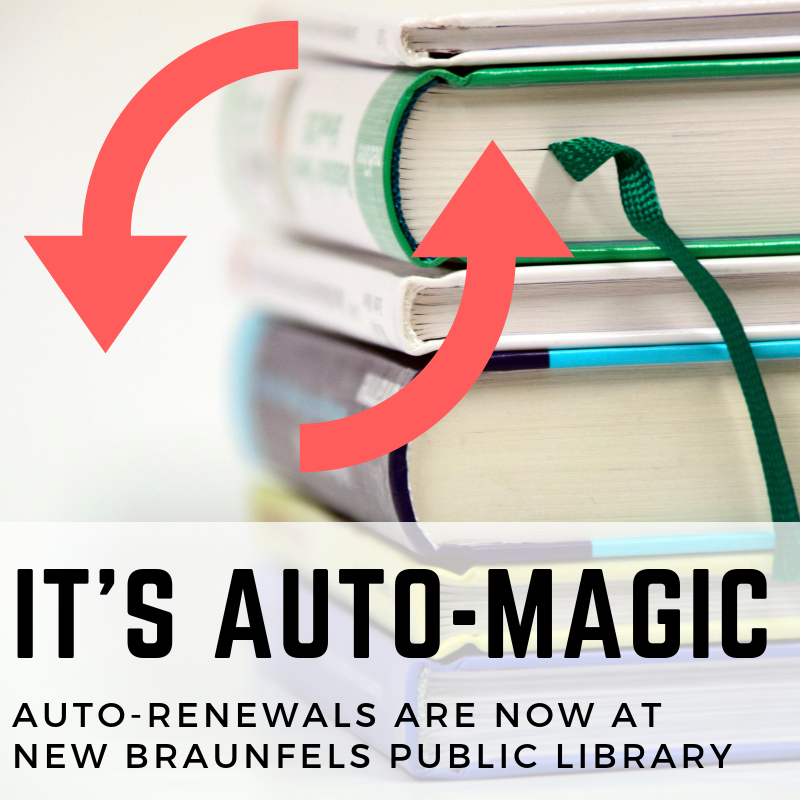 Auto-Renewals: This year NBPL introduced a new auto-renewal feature for patrons. All items eligible for renewal are now automatically renewed for patrons at noon on their due date. Patrons receive a notificiation of the renewal, and we have seen a significant decrease in late fees since we introduced this feature. Fitness & Healthy Living: NBPL hosted a number of health and fitness activities at the library and the Westside Community Center. Some examples include Yoga, Tai Chi, Yoga for Seniors, and Zumba. 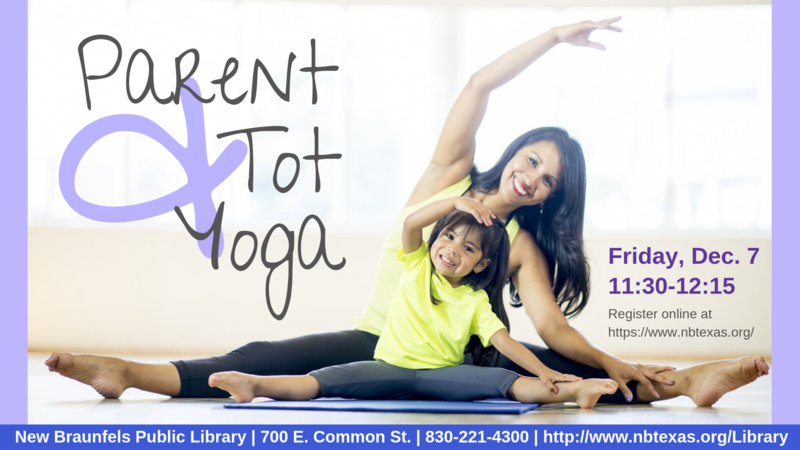 This year, NBPL added a program for new parents and children called Parent & Tot Yoga. This exercise class allowed parents and tots to relax and unwind together. 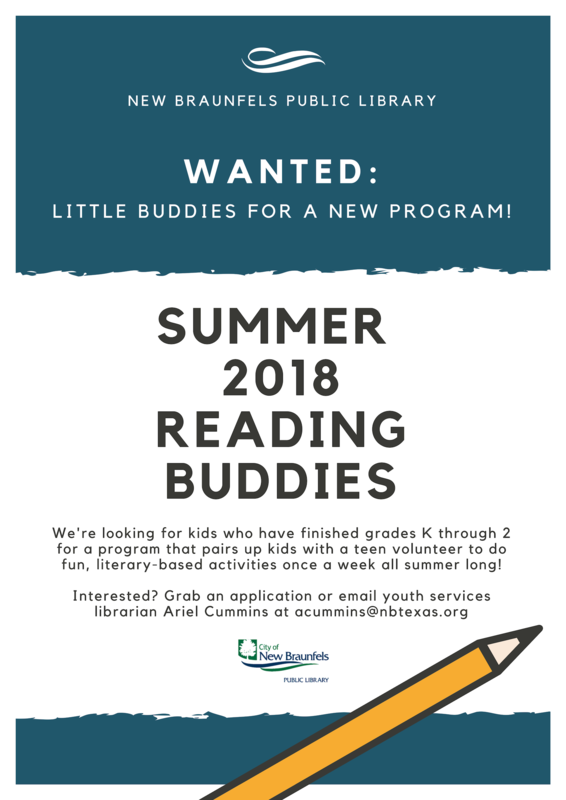 Summer Reading Buddies: The New Braunfels Public Library launched a new program, Reading Buddies, which teamed up children and teens to participate in fun, literacy-based activities during the summer. Teen volunteers were paired with an elementary student and attended weekly meetings to read together, play literacy games, and take part in group activities. The program was modeled after an award-winning program at San Jose Public Library in hopes to offset the “summer slide,” in which a lack of summer learning opportunities causes a loss of academic achievement. 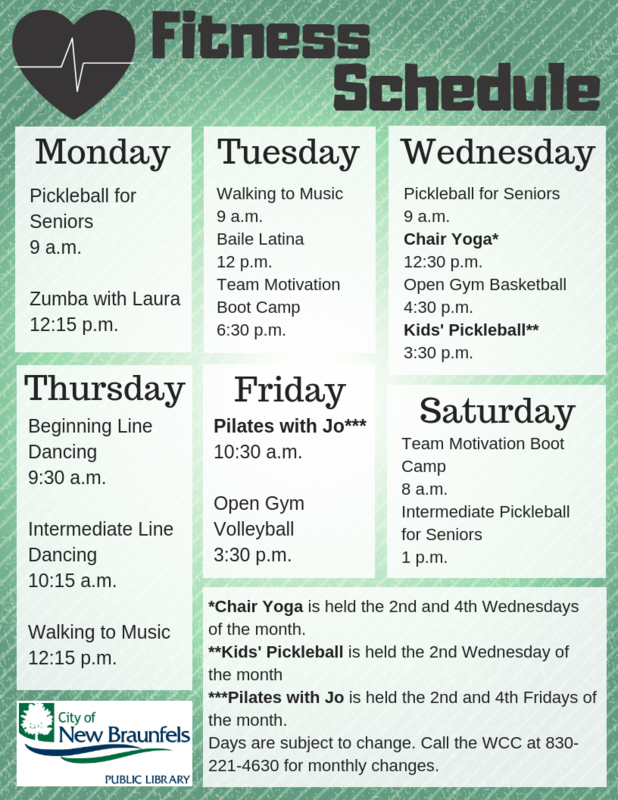 NBPL also hosts a variety of fitness programs and activities throughout the year at the Westside Community Center such as Pickleball for Seniors, Team Motivation Fitness Camps, Zumba classes, Open Gym Basketball, Pilates, and line dancing lessons.